Numerous scientific studies prove that a healthy diet must include Omega 3, a fatty acid that the body does not produce by itself, therefore its obtainment must be external. 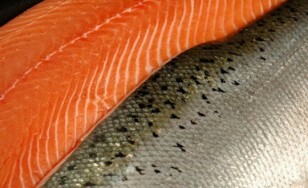 Salmon and trout are in the select group of the best sources of Omega 3, are also low in calories and high in protein, on the other hand, compared to red meat have up to 97% less saturated fat. Not all fats are the same, while some can cause problems of overweight and various cardiovascular diseases.